Recently, we paid another visit one of our favorite outdoors spots in the Bay Area: Jack London State Historic Park. Located in the small Sonoma Valley town of Glen Ellen, it's about a 45-minute drive north from Marin and a great destination for a family outing. The park is made up of land that was at one time the Beauty Ranch owned by renowned writer, social reformer, adventurer, early sustainable agriculture advocate, and rabble-rouser Jack London (1876–1916), author of classic adventure tales like The Sea Wolf, The Call of the Wild, and White Fang. Jack London State Historic Park is always a destination for us in winter and early spring—the wildflowers are in bloom, the weather is cool and clear, and it's breathtakingly beautiful. Nestled at the foot of Sonoma Mountain, the park is full of stunning scenery, historic buildings with interesting exhibits, and short, easy hikes that are perfect for families. There are also longer treks available for those who want something more challenging. Jack London State Historic Park has undergone some upgrades in the last few years. Jack London's cottage and its outbuildings haves been totally refurbished and now function as a museum, with rooms decorated in period style and filled with actual objects used by London and his wife Charmian. The larger House of Happy Walls, built by Charmian after Jack's death at age 40 in 1916, just re-opened this winter after a major renovation, with all new museum exhibits and an expanded gift shop. The House of Happy Walls serves as a museum, park headquarters, and gift shop. It boasts all new interactive exhibits that tell the story of the Londons' lives and adventures—they're really a big improvment over what was there before. The remodel also adds some nice sitting areas around the house's fireplaces where you can relax in front of an (electric) fire. Both the House of Happy Walls and the cottage are filled with mementos of the Londons' travels, especially in the South Pacific, and are definitely worth visiting while you're there. The park is split into two halves: the lower ranch, which includes the House of Happy Walls and the ruins of Wolf House, and the upper ranch, which includes the bulk of Beauty Ranch and the Londons' cottage. Opportunities for great walks and hikes abound in both places, but we usually bear right and head to the upper ranch first when we visit the park. We like to picnic at one of the sunny picnic tables on the cottage grounds, and then hike along the vineyards up to the Pig Palace. Also at the upper ranch are the ruins of the winery that occupied the land before it was purchased by London, as well as numerous farm buildings and equipment. Miles of trails criss-cross the area, too. Kids get a kick out of the old horse-drawn wagons and farm equipment, as well as the so-called Pig Palace, a technologically advanced (for the 1910s) piggery built by London. Historic buildings and sites are well-marked by didactic panels that feature informative descriptions as well as period photos. If you're up for a longer walk with the kids, the half-mile hike up to the lake, with its historic bath house, majestic redwood trees, and stone dam built by London in 1913, is easy and rewarding. Miles of additional trails wind their way further up the mountain, for those in seek of even more hiking opportunities. To the left of the entrance kiosk, you'll find the lower ranch. This is a good place to start your visit if you're a newcomer to the park, with the museum in the House of Happy Walls serving as an ideal introduction to Jack London's life, work, and travels. After touring the museum, head out on the trails that lead to Jack and Charmian's grave site and the ruins of Wolf House. The grave site is a large moss-covered boulder in a peaceful grove of oaks and manzanitas. Close nearby is Wolf House, which was to be Jack London's grand mansion—until it mysteriously burned down in 1913, only days before he and his wife were to move in. Much of the imposing house, made from locally quarried volcanic rock, is still standing. It would have been an amazing structure had it survived. Rumors abound about the source of the Wolf House fire. Arson was strongly speculated by some, but the more likely and less sensational theory is that it was due to spontaneous combustion from some linseed oil-soaked rags piled by workmen in a corner. The hike to both sites ends up being about a mile-and-half round trip, and is mostly shaded by oak, bay, and Douglas fir trees. If that distance seems too long, you can always hitch a ride on the Wolf House Express, a free golf cart shuttle that makes regular trips to the Wolf House site via a fire road. Jack London State Historic Park is open daily from 9:30 am to 5 pm. There is a $10 per car entry fee. It's well worth it, and the friendly park volunteers are happy to share tips and stories about the park with you. The House of Happy Walls museum is open from 10 am to 5 pm. The London Cottage is open from noon to 4 pm. There's an entry fee for the cottage of $4 for adults and $2 for seniors 62 and older; children 12 and under are admitted free. The House of Happy Walls will be closed from January 29 to June 1, 2018 while the park redesigns the exhibits housed inside. At the lower parking lot you'll find picnic tables, restrooms, and drinking water. The upper ranch area has a large picnic area just past the parking lot with drinking water, charcoal grills, and picnic tables. Group picnic areas are also available by reservation. Restroom facilities at the upper ranch are limited to porta-potties in the parking lot and near the picnic area. Bottled water is available for sale in the cottage and the House of Happy Walls, although you can fill your water bottles at the picnic areas. No food is available on-site, but you can buy sandwiches and snacks at Glen Ellen Village Market, located on Arnold Drive just before you turn off to go to the park. There are also a few restaurants in Glen Ellen. We often pick up some sandwiches and beef jerky for lunch at Angelo's Wine Country Deli, a fantastic little place located just south of Sonoma on Highway 121, close to the Sonoma Valley Airport and across from Gloria Ferrer winery (you can't miss it—there's a life-size fiberglass cow on the roof). Park offerings include docent-led walks, lectures, concerts, fun annual events like Plowing Day, and even a summer Broadway Under the Stars series. The park also offers rentals for weddings and corporate events. The park allows on-leash dogs in many areas, and bicycles and horses are permitted on some trails. There's an outfit that offers guided horseback trail rides at the park during the summer. 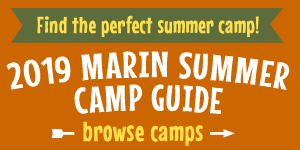 For more information, call the park at (707) 938-5216 or visit jacklondonpark.com. To get there From Marin take Highway 101 north to the Highway 37 exit in Novato. Head east on 37, and then turn left onto Highway 121/Arnold Drive at Sears Point. Follow Arnold Drive north through El Verano and the Sonoma Developmental Center until you get to Glen Ellen. In downtown Glen Ellen turn left onto London Ranch Road, just after Glen Ellen Market and before the Jack London Lodge motel. Follow London Ranch Road up the mountain until you get to Jack London State Historic Park at the end of the road. The park is located at 2400 London Ranch Road.